The Strauss Festival Orchestra in Concert at the Benidorm Palace on Sunday 14th January 2018. Tickets are on sale now from this web site and from our office in the Calle Gerona 48, 03503 Benidorm. "The Show Must Go On" is a tribute to one of the best rock bands of all time. Tchaikovsky's beloved romantic Ballet Swan Lake comes to Benidorm for Christmas. Book Now for the Christmas Day and Boxing Day celebrations at the Benidorm Palace. Benidorm Palace brings you another great night's entertainment this February! Don´t miss Gerry and The Pacemakers on Sunday 5th March 2017 live at the Benidorm Palace. Welcome in the new year in Benidorm Palace! See out 2015 and welcome in 2016! The Bodegas Bocopa in Petrer is one of the most important wine producers from the Alicante area. A co operative which produces, bottles and markets 60% of the wine produced in the Alicante region, they have received both national and international recognition for their wine. The most recent product from Bodegas Bocopa is the Señorio de Benidorm, a red Mediterranean wine inspired by the famous city, presented in a specially designed bottle with Benidorm’s famous skyline, Benidorm Island and the sea in relieve, bottling the sun of Benidorm and promoting Benidorm worldwide. The wine, a blend of Monastrell and Syrah grapes matured over a 100 day period in French, American and Hungarian oak barrels, has just been awarded the Premio Baco by the Spanish Tasters Union and will support a local Benidorm Charity “Doble Amor” by donating 1% of its profits to the centre for people with intellectual disabilities. Bodegas Bocopa also produce the award winning Marina Alta, Laudum Roble and Laudum Crianza 2012. Their white wine the Marina Alta is the white wine with the most awards in Spain. Pamela Dawson - British Expat living in Alfas del Pi awarded the British Empire Medal. Pamela Dawson Tasker, a British Expat living in L'Alfàs del Pi, for more than 30 years was awarded the British Empire Medal last week at the British Embassy in Madrid. Benidorm Palace Christmas and Boxing Day Gala Dinner with The Four Tops. Tickets are on sale here with a 3€ discount per person. 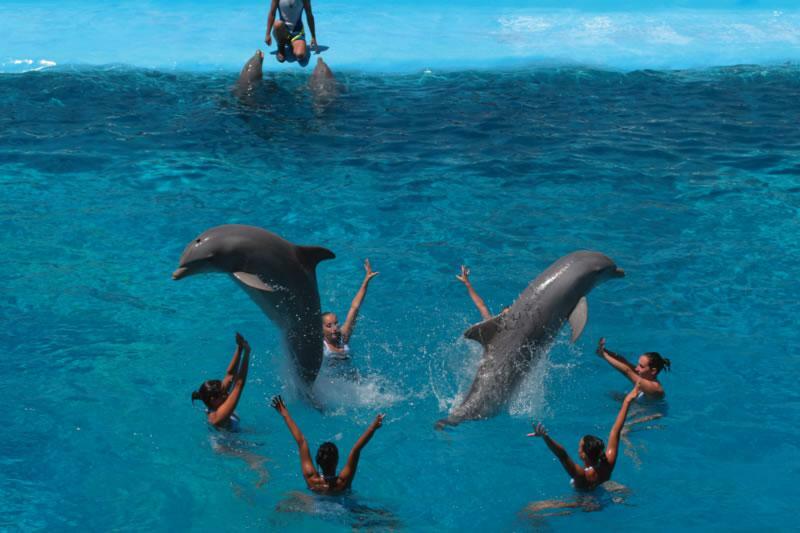 Mundomar, the exotic animal and dolphin park in Benidorm have extended their 2 x 1 offer until the 22nd of December 2013. Christmas celebrations in Spain are not over until the Three Kings or Magi visit local children on the eve of the 5th of January. Welcome the New Year in at the Benidorm Palace!
" Under the Christmas Tree" the Christmas Special from the Benidorm Circus for the festive season 2013. 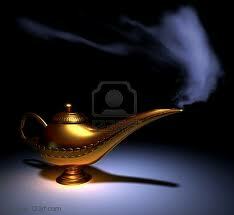 As from today departures of all boat trips from the Rincon de Loix are suspended until Easter 2014. 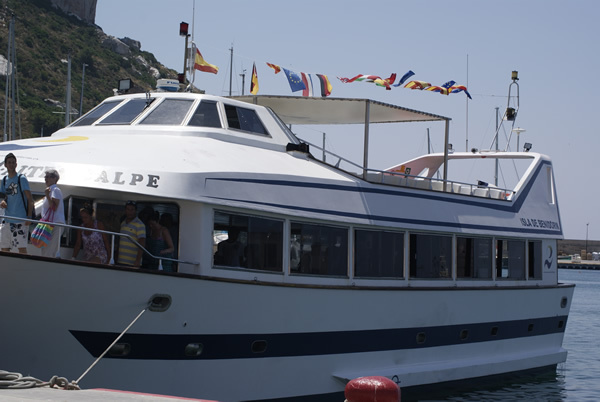 Boat trips to Benidorm Island and the Mini Cruise along the coastline to Calpe will continue to depart as normal from the port in the centre of Benidorm. Mundomar the exotic and marine animal park inBenidorm is celebrating the birth of a little Meerkat pup, the first one to be born at the park and mother and pup are both doing well. Guided tours of the the Bombarda & Les Caletes watch towers. Take part in this cultural activity organised by the Historic Heritage Council of l’Alfàs del Pi and Benidorm on Sunday 24th of November 2013. The Ice Rink will be open this afternoon Thursday 20th of December 2012 for the Christmas period and is located in the square in front of the Benidorm Town Hall at the entrance to the L'Aiguëra Park. 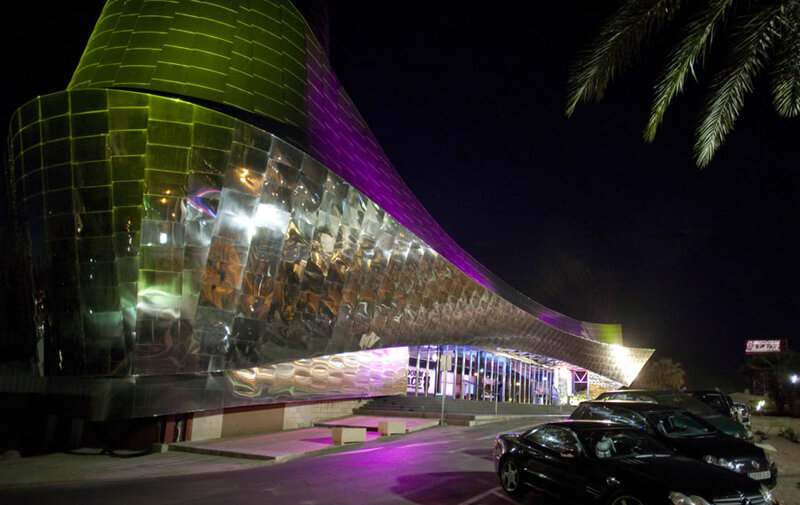 Celebrate Christmas 2012 in Benidorm Palace with their Gala Dinners. There will be no boat trips operating from today Saturday 24th of November until Monday 17th of December 2012. 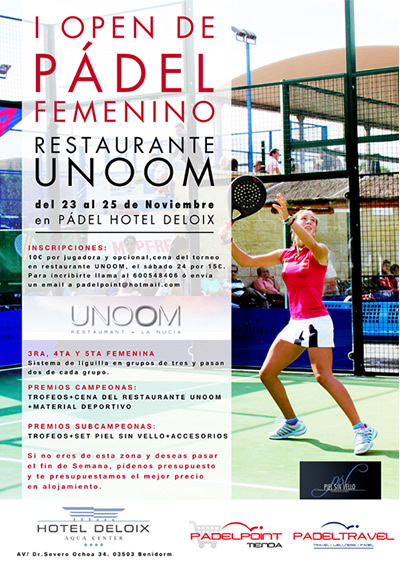 Padelpoint has organised the 1st Unoom Restaurant "Female Open Padel Tournament" on the 23rd - 25th of November. 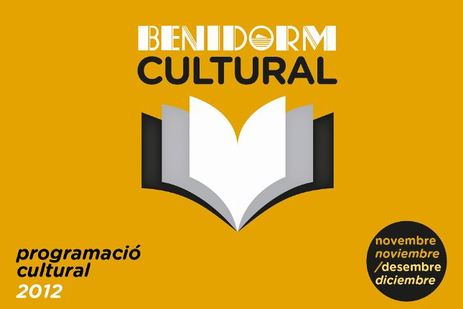 Benidorm Cultural Program November & December 2012. Concerts, music, cinema, poetry readings , theatre, puppet shows, conferences, exhibitions and documentaries. 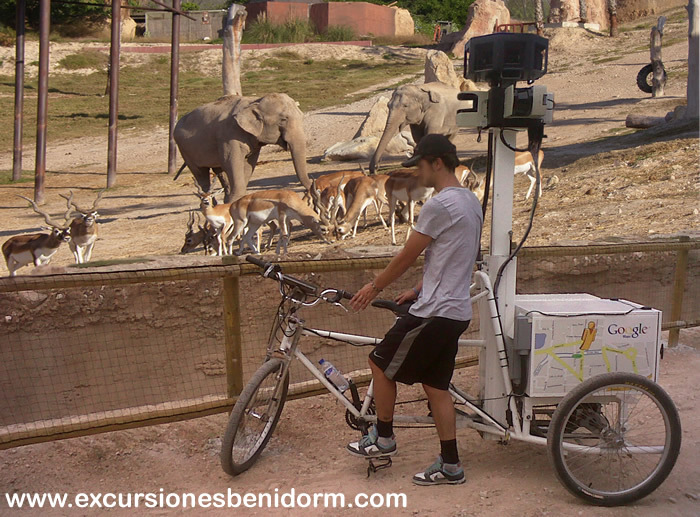 The theme parks, Terra Natura and Aqua Natura, in Benidorm can now be visited on Google Street View. On Thursday 25th of October, TUIUK& Ireland held a charity event in theBenidorm Palace. On the 17th of November 2011, the 6th Waiters' Race from the province of Alicante will take place in the Calle Gerona, by the Morgan Tavern, Benidorm at 16:00 hours. All participants are to wear black trousers, white shirt, with a tie or bow tie. 1st place 100€, trophy and a weekend in the Hotels Ambassador. 2nd place 60€, trophy and a gift from the sponsors. 3rd place 40€, trophy and a gift from the sponsors. There are also prizes for the oldest waiter, the youngest and the 1st placed local waiter and waitress. Lolo, Erick and Roberta , three harbour seals (Phoca vitulina), also known as the common seal, have regained clear sight after a cataract operation in Mundomar Benidorm. The ophthalmic intervention, which lasted four hours for each of the mammals restored their sight after they were diagnosed with severe cataracts. 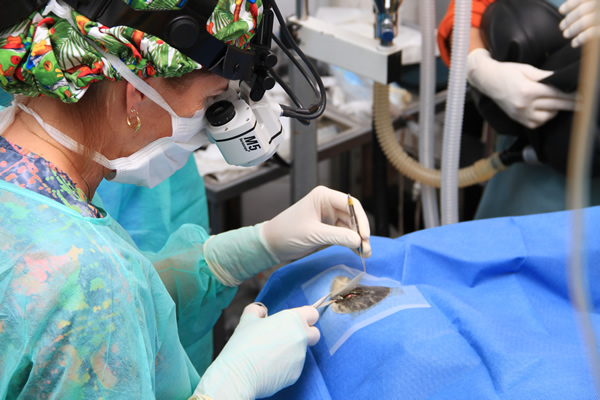 The operation was performed by two of the best doctors in this field, Dr Carmen Colitzan ophthalmologist and Geraldine Lacave a specialist in marine animals. Veterinary staff from Mundomarwere also on hand to assist the doctors. The technique involved making an incision in the cornea, applying a gel inside which enlarged the cornea permitting the cataract to be located with the latest equipment. One of the seals Lolo, was diagnosed with a cataract in his right eye but with this state of the art equipment the doctor was able to detect the onset of a cataract in his other eye. Once the surgeons located the problem the lens and the surrounding lens capsule is removed to clean the cavity. After stitching the cornea an implant is put in place. Although this is a difficult operation the successful outcome is due in part to the youth and good health of the mammals. Lolo , Roberto y Erick are recovering in Mundomar, cared for by their keepers who administer their daily medication of painkillers and antibiotics as well as three different types of eye drops which have to be administered three times a day, 15 minutes apart. The after care from the Mundomarstaff permit the seals to return to their familiar routine with the rest of the seals and their full recovery is expected in a couple of weeks. The harbour Seal is very intelligent, easily tamed and exhibits great affection for it's keepers. Mundomar is a pioneer in marine mammal surgery and its surgical work on sea lions has been recognized by the Iberian Association of Zoos and Aquariums (AIZA) of which it is a member. Take a look at some of our photos from Mundomar. 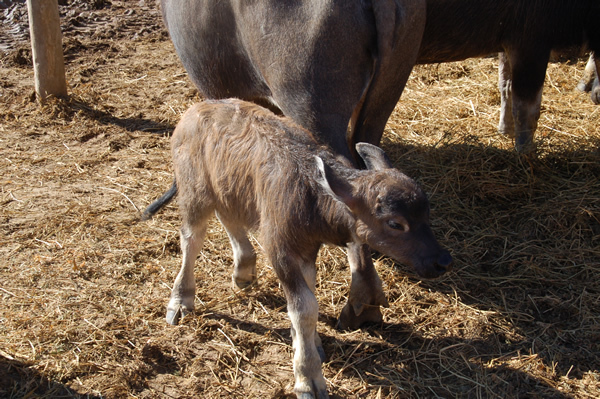 The grasslands of the animal and nature park Terra Natura Benidorm have seen the arrival of a water buffalo calf (Bubalus Bubalis). The young female calf called Claudia was born after a gestation period of eleven months and is the second offspring for her mother who's first calf was born in 2009. As the mother's due date approached, staff at the Benidorm park prepared a shelter with plenty of straw to make the mother as comfortable as possible. The shelter also protected her from the rain and the drop in temperature over the last couple of days. The mother gave birth naturally without any assistance needed from the park staff and the herd has accepted its new member without any problems. The herd are generally very protective of all young calves. If they did not do so the young could easily be crushed or trampled by the herd as an adult buffalo weighs approximately 400 kilograms. Female buffalo in the herd are generally gentle and loving towards the young but each mother is responsible for feeding her own offspring. Sometimes the young calf mistakes another female for its mother or can't find its mother when it is hungry so the other females in the herd will stay with the calf until its mother hears its cries for food and comes to nurse it. Terra Natura Benidorm currently has more than 10 water buffalo in the park , seven males and five females. Water buffalo spend long hours immersed in the mud and when they feel threatened they will charge and run over anything in their path. The wild species of water buffalo is in serious danger of extinction due to its natural habitat being taken over for agricultural development. Buffaloes are very sensitive to heat, because they have few sweat glands. This is the reason that they spend so much time cooling off in the mud. . The mud also protects them from insect bites when it dries. Buffalo herds can be used as working animals, for their meat or as dairy animals. Mundomar, the animal park in Benidorm has operated on three of its sea lions to remove cataracts. The surgery lasted four hours for each animal and has elimated the problem for Lolo, Erick y Roberta. 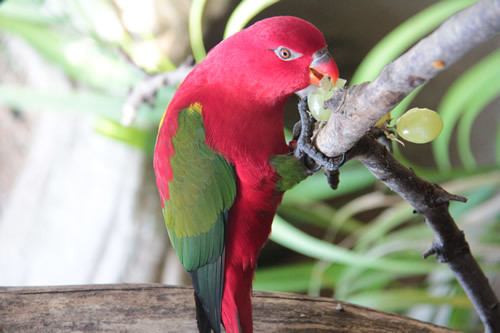 Mundomar welcomes two Garrulus Lorius or Chattering Lory to the animal Park. These beautiful forest dwelling Asian parrots are listed as vulnerable and in danger of extinction, as a direct result of the loss of their natural habitat and from human exploitation for the pet or caged bird trade. This is the most popular bird exported from Indonesia and is prized because of its ability to mimic human words and environmental sounds. The Garrulus Lorius live in pairs, feed on nectar, pollen, fruit and flowers and have beautiful vivid red coloured plumage. If conditions are suitable the pair can breed year round and generally produce two eggs per nest with the incubation period being approximately 26 days. These intelligent parrots love to bathe in water or under a sprinkler and physical and mental activity should be encouraged as this may be beneficial to a healthy breeding pair. In Mundomar these intelligent birds have the perfect environment to reproduce and to integrate with more than 80 different species that form part of Mundomar Benidorm. Rugby La Vila, leaders in the Spanish Rugby league, are to play some of the best European teams in the European Cup. On Saturday 12th November 2011 they will playAgen (France)in the Municipal Rugby Stadium in Villajoyosa at 16:00 hours. 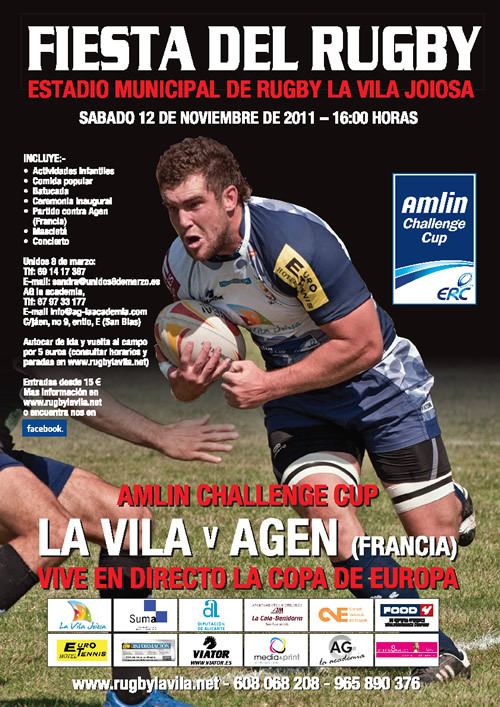 More information consult the web site www.rugbylavila.net, or telephone +00 34 608 068 208 - +00 34 96589 0376. Cultural Activities in Benidorm during November 2011. 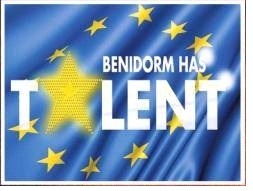 Sunday 6th at 12:00 h.
BENIDORM: Music, Fiesta & Tradition. Sunday 6th at 20:00 h.
In the Church of St Jaime and St Ana. Saturday 12th at 24:00 h.
Sunday 13th at 17:15 h.
Sunday 13th at 24:00 h.
MEETING OF THE INTERNACIONAL FEDERATION OF BULL FIGHTING SCHOOLS. Saturday 5th at 16:30 h & Sunday 6th at 11:30. Entrance by invitation only. To obtain an invitation contact the Casa del Fester, the Tourist Office or the Bull Ring. Tuesday 22nd at a 19:30 h.
In the Salón de Actos of the Town Hall. Wednesday 23rd at 19:00 h.
Thursday 24th at 20:00 h.
Monday to Friday 9 - 14 h.
Councillors for planning and culture. Thursday 10th at 20:30 h.
Monday 7th & 21st at 18:30 h.
In the Sala de Investigadores of the Town Hall. Staff at Terra Natura Benidorm will bottle feed a cub after it was rejected by it´s mother. This morning the young 13 day old cub was presented to the public. Kali, an Asian Tiger (Panthera tigris) from the Terra Natura Benidorm, has had a tough start in life after being rejected by her mother Ela after birth. To ensure that little Kali, who is only 13 days old survives, experts at the park have started feeding Kali manually. Kali´s mother Ela carried the cub to full term after a three and a half month gestation period. When she was born she suffered from hypothermia but survived the first two weeks of life. Kali birth is the second time that this nature park has managed to reproduce this species in captivity, the first time being in 2007. The Head Keeper from the complex demonstrated this morning how they feed little Kali. She is bottle fed with milk six times a day, every four hours with the equivalent of 20% of her body weight and to supplement her diet calcium and vitamins are also added. The feline’s diet will change when she is two months old when they will introduce small pieces of meat along with her milk. The amount of milk will be reduced as she continues to grow and the amount of meat increased until she is eating only meat. Kali is monitored constantly to prevent any complications or illness and to measure her development. Exhaustive controls are taken to ensure that she has the exact quantities of milk required and that her body functions as it would in the wild. Any adjustments are made according to the results. Kali is staying at the Clinic in Terra Natura Benidorm, to avoid contact with the other animals at the park and to keep human contact to a minimum so as not to transmit viruses. When Kali is a month old she will be vacinated and then when she is about six months old, she will be introduced to the streak of Asian Tigers at the park. This species of tiger is actually in grave danger of extinction and is protected by the Convention on International Trade in Endangered Species of Fauna and Flora(CITES). This animal is considered the second largest land predator after the polarbear and grizzly bear. Their hunting strategy is to surprise their victims as they are very agile jumpers but not good runners. An adult tiger can consume up to 40 kilos of meat at one sitting. The Bengali tiger differs from the Siberian tiger because it has short hair allowing it to adapt to the heat and humidity of the Asian Jungle where they live. 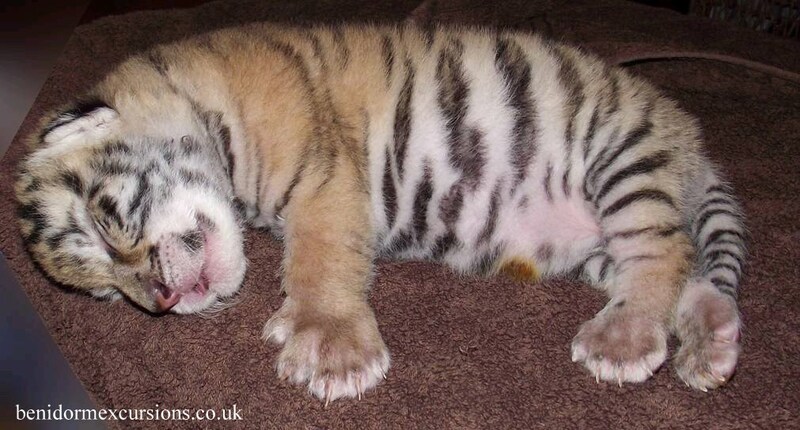 The Siberian tiger is smaller but can reach 250 kilos in weight. The Broadway Performance Academy presents ALADDIN in the Benidorm Circus. Performances on the 16th and 17th of December at 18:00 hours and on the 18th of Decembers at 14:00 and 18:00 hours. Prices: Adults €12,50 Children €8,50. Further information and sales at the Box Office or telephone +00 34 96 588 9971. 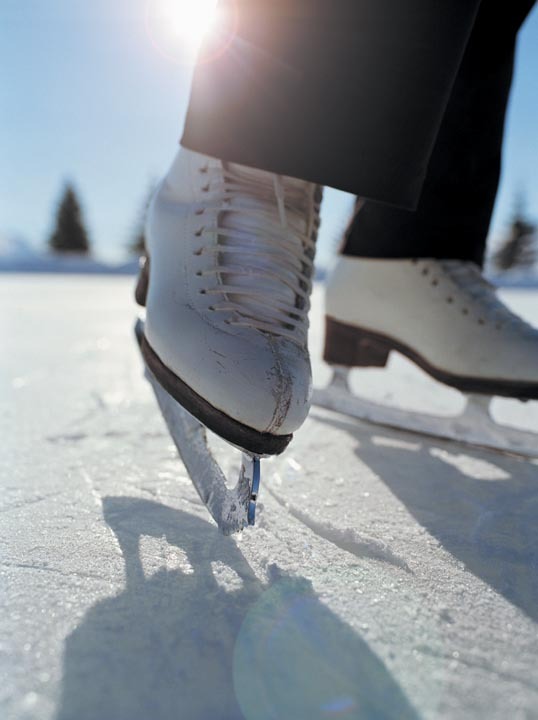 From the 4th of December until the 9th of Januaryyou can skate at the open air rink situated in theTown Hall Square . Open from 10:00 am, price 6€ an hour. The Benidorm Rotary Clubadvised excursionesbenidorm.com yesterday that the Four Tops Gala programmed for the 6th of December 2010has been cancelled. One of the Group members has had an accident and will not be able to perform. 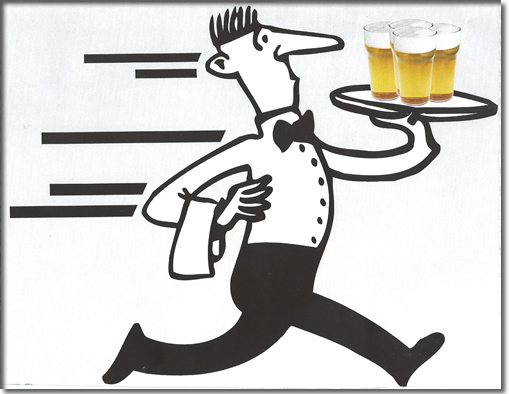 Benidorm hosted the annual Waiters Race last Thursday 18th of November in the Calle Gerona, where the winner is not only the fastest and most agile but the one who completes the race with the most liquid remaining in the glasses. 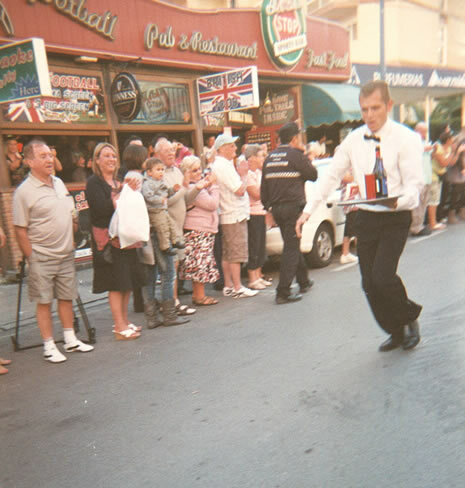 Approximately a dozen waitresses and thirty waiters from all over the Alicante province participated in the race cheered on by hundreds of tourists in the area mainly British. The winner of the Feminine Category Alecu Jennica was the Representative from the Hotel Marina and second place was awarded to Maria Caselles from Benidorm. First place in the Male Category went to Gustavo Gomez from Xativa and the second place awarded to J. R. Peral from Carcaixent. 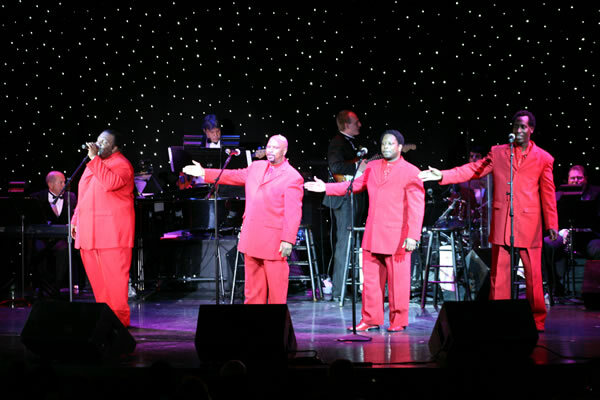 The Benidorm Palace and the Benidorm Rotary Club present the only Spanish Concert to be performed by the Four Tops in Spain on Monday 6th of December at 20:00 hours. All proceeds to go to the Centro Doble Amor and Accion Solidaria de Peru. For further information and ticket sales contact the Benidorm Palace, the Kiosk in the Plaza Triangular or Cafeterias Yago. 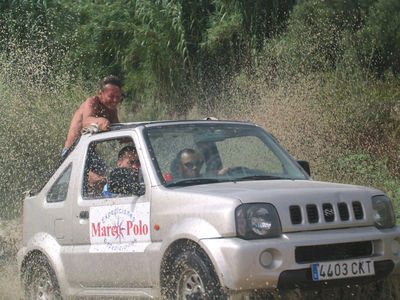 Marco Polois one of the well known excursion companies in Benidorm and the surrounding area and it continues to lead the field with new activities and offers for the tourist sector, assuring that tourists return to our city and explore the countryside and areas of outstanding beauty. The success of the company has been achieved after years of hard work, offering an alternative to the traditional beach holidays and catering for people who love nature and outdoor activities. Trips take place in the hidden inland areas of the Alicante province. 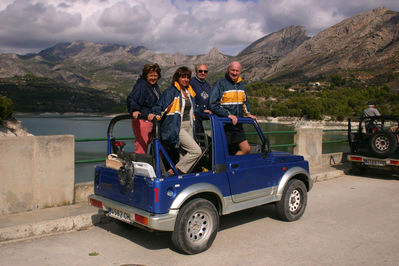 One of the most popular excursions is the Jeep Safari or Adventure 4 x 4. The trips are organised for groups of eight and the routes are suitable for all age groups, whether they be half days, full days, and dawn or sunset trips. Night time trips are also operated during the summer months. Marc Paul Dobbelaere, the company manager explains that the expeditions visit among other places the Amadorio reservoir in Villajoyosa, the reservoir in Guadalest, the Sierra Aitana, Aixorta, the village of Tarbena, the fountains of Algar in Callosa D’en Sarria. Beautiful countryside from where on a clear day the islands of Ibiza and Formenteraare visible as well as the North coast of Alicante up to Cullera. It is the contact with nature that makes this type of excursion so enjoyable. The adventures are guided and the guides act as entertainers as well as showing the clients the surrounding countryside. Clients participate at all times and there is a great atmosphere as you travel to places where cars cannot normally reach. The excursion is also educational as Marco Polo teaches you to respect nature, the importance of being ecological as well as offering other practical advice. There are also many opportunities to take photos and film your day out. A full day excursion which starts from 09:00 – 09:30 and finishes from 17:00 – 17:30 costs 49€ per person which includes the guide. The small number in each group mean the company gives a personal touch and the mix of nationalities also works in their favour. The success of the company means that Marco Polo has been able to adapt its style over the years and introduce new and surprising group activities, which can be useful for companies looking to improve relations between staff members and the importance of working as a team. Themed routes also open up the possibility to new experiences. British X Factor star Rowetta will be appearing as a judge at the final of the "Benidorm has TALENT" competition at the Benidorm Palace on the 29th November. 25 Finalists will battle it out for the 1st prize of €2.000and the 2nd prize of €750. Proceeds in aid of the Spanish cancer charity, AECC. 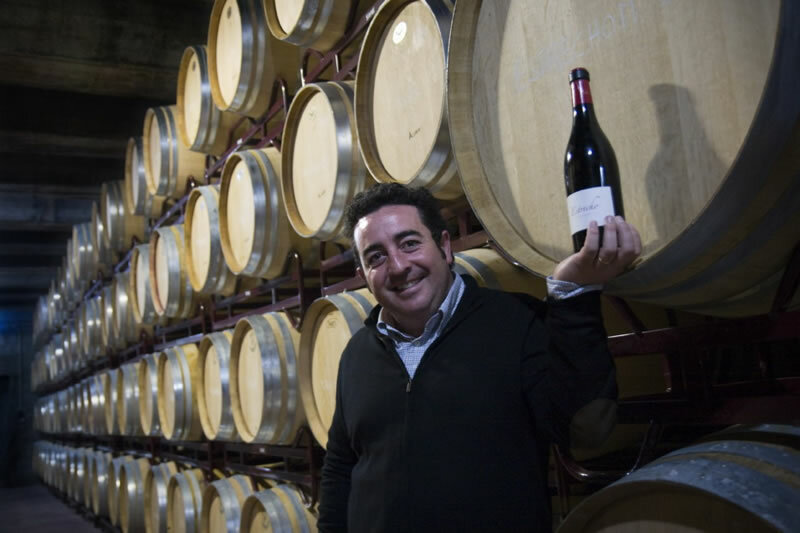 Mendozahas always had a passion for wine and when the opportunity arose, he decided to produce his own wine. His dream started in Alfaz del Pi, Alicante, and in just over 30 years this dream was transformed into a successful family business. In Alfaz he planted his first vines. Over the years they grew and extended into other villages in and around the Alicante area. Today the Mendoza wineries produce 350,000 bottles, mostly red but they also produce some excellent white varieties too, especially the Muscatel variety, characteristically from this area and grown on vines only a few feet from the winery. The most famous varieties, the white Chardonnay and the red Cabernet, Sauvignon, Merlot, Pinot, Vardot y Monastrell are the major wines produced at Mendoza. There are also oriental grapes previously grown in France, for example Shiraz that form part of the wide range of Mendoza wines. Fermentation takes place in barrels after carefully selecting the finest oak from France or America. Mendoza is 100% family run, created by one man with a clear idea of what he wanted to achieve and then lovingly nursed and cared for by his family. It has high standards and clear aims and objectives, far removed from the large multinational companies. It is possible to visit the bodega and sample their wines or if you prefer make an appointment and eat on the premises. Ice skating in Benidorm from the 4th of December until the 10th of January. The ice rink is situated by the Town Hall. Open dailyfrom10:30 until 14:30 and from 16:30 until 21:30. 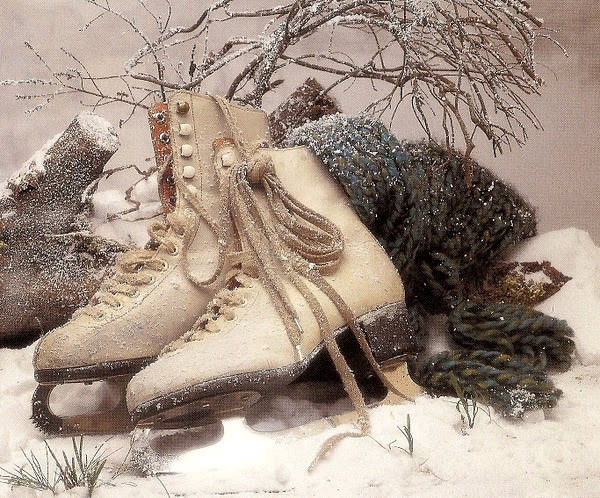 At weekends the rink will remain open at midday. 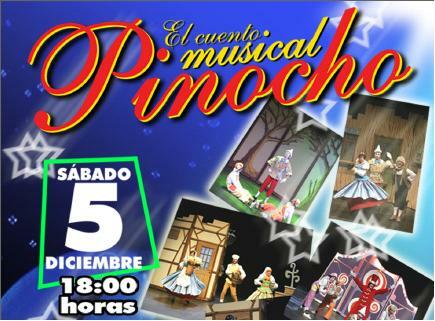 Benidorm Circus proudly presents "Pinocchio"
Benidorm Circus proudly presents the musical production of Pinocchioon Saturday 5th December at 18:00 hours.One performance only.Highly recomended, great entertainment for all the family and suitable for all ages. Re-live and enjoy the adventures of Pinocchio. Prices: Adults 12€, Children 10€. 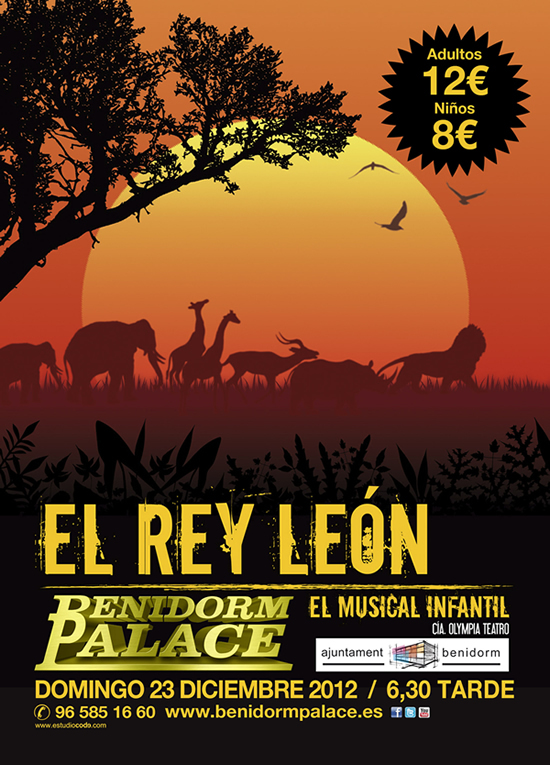 For more information and ticket sales contact the Benidorm Palace box office, telephone 96 585 1660 (open from 10:00 - 20:00 hours except Sundays). 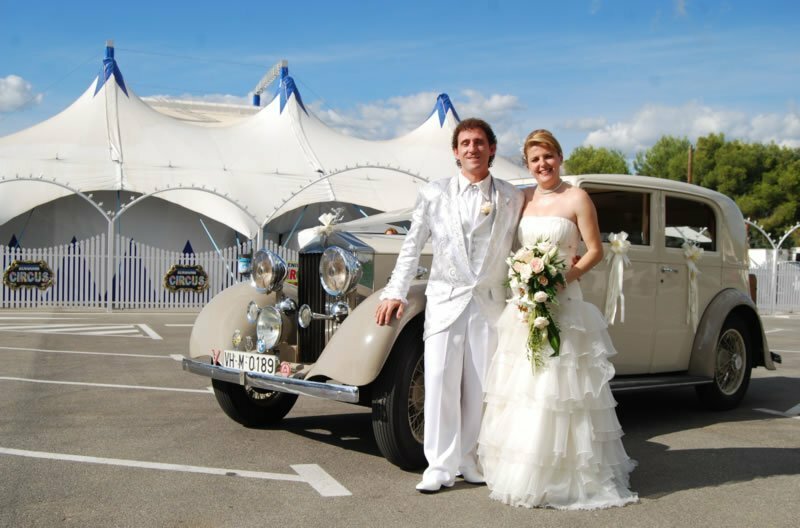 En excursionesbenidorm.com entrevistamos a Toni Tonito, el primer protagonista de una boda tematizada celebrada en la carpa del “Benidorm Circus”. Hola Toni, primero ¿A quiénes va dirigido este circo? El circo va dirigido a todos los públicos. En principio la gente cree que un circo es para niños. No puede estar más lejos de la verdad. Los niños se divierten mucho pero son los adultos que aprecian la destreza, la precisión y el talento. ¿Cuál es tu especialidad en el circo? Soy acróbata. La primera vez que me subieron a un trapecio tenía seis años. Yo soy la cuarta generación de mi familia que se dedica al circo. Desde que tengo memoria tenía claro que yo iba a dedicarme al circo y ser artista. ¿A qué edad te pusiste delante del publico? Con nueve años, y tengo 40. Con 11 años me convertí en el trapecista mas joven del mundo y el único español que realizara el triple y no ha habido otro hasta hoy. Y la gran noticia es que te has casado. ¿Cómo fue? Fue de lo más bonito y memorable que te puedes imaginar. Además os casasteis en el circo, bajo la carpa ¿no? Si. Que mejor sitio para casarnos que bajo la carpa. Lo había visto antes con familiares y amigos y nos hacia ilusión celebrar nuestra boda de manera diferente. Lo hemos hecho como homenaje al circo. Imagínate, todos los invitados esperando que llegue el novio y llego yo, vestido de payaso en un coche de payaso, el cura, que llega en una rueda, vestido de payaso y en medio de la pista nos transformamos en lo que esperaban ver todos, el novio y el cura. ¿Lleváis mucho tiempo planeando esto? Llevamos dieciocho años juntos. Si no lo hemos hecho antes es por que no habíamos hecho raíces. Además lo difícil era buscar una fecha en que las dos familias y los amigos pudieran asistir. Y el Benidorm Circus era el lugar idóneo, no sólo por lo que es sino por su situación geográfica. Esta comunicado con todo el mundo, por avión, coche y autobús. Y por último.¿Crees que el casarse en un circo le puede interesar solo a la gente del mundo del espectáculo? No. Creo que hay mucha gente que tiene alma de artista. Es una experiencia única. No es necesario casarse de payaso, sino cada uno puede dejar correr la imaginación y hacer una boda única, con el tema que mas les guste. El día de tu boda debe ser inolvidable, pues que mejor que celebrarla en un lugar de ilusión y felicidad.